Follow a case study from one of our early clients, as we increased the number of leads coming ot his website by 370%, then built him a second, e-commerce website, that turned over $100,000 in sales in its fourth month. 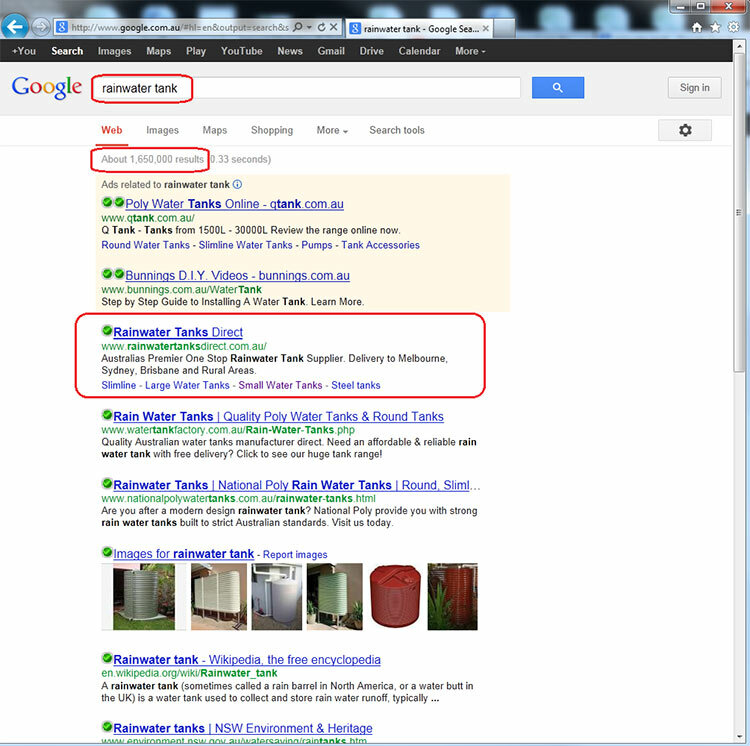 Darrell came to us in November 2007 with his existing website that promoted his plumbing business. He had spent $4,500 on a website that was generating him an average of 16 visitors per day, and next to zero work. 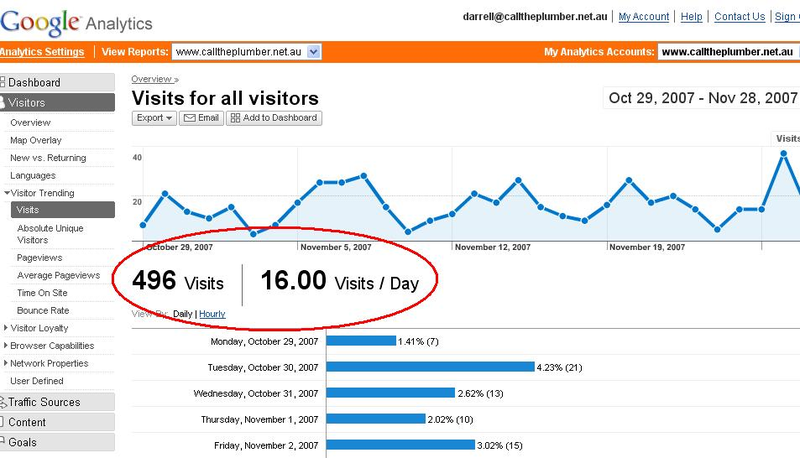 And finally here is the same analytics program from the 22nd October to the 21st November 2008. The number of visitors for that 30 day period was 1852 – almost 60 visitors per day. 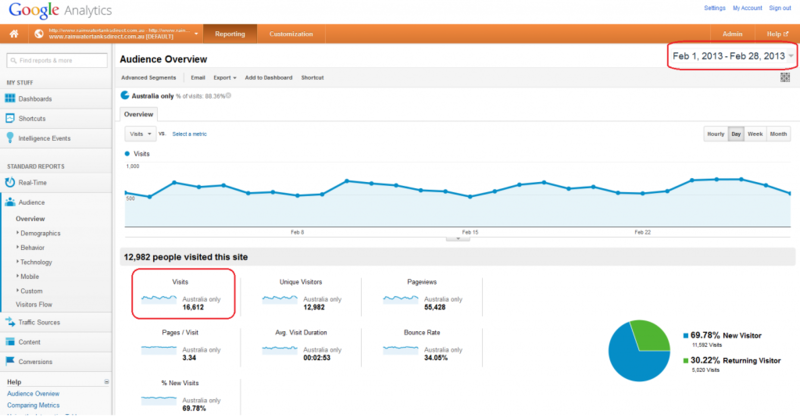 So even in these “tough economic times” we have increased his website visitors by over 370% within 12 months! Darrell was so thrilled with his results, that he built a second website, www.rainwatertanksdirect.com.au which went live in June of 2008. In his fourth month after his website went live, the website made over $100,000 in sales for the month.